Oliver Sylvester-Bradley provides an explanation of platform co-ops and a few thoughts from Day 1. Gary Alexander presents ‘A shared social vision’ including a few instant polls to get a sense of where those present agree and disagree. 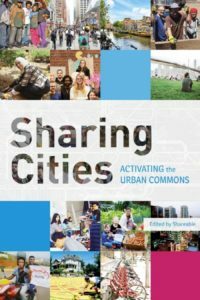 What might our collaborative, sustainable society (on plaform coops) look like? How would a global cooperative be structured? What might we need as the initial platform offerings? See the shared notes from this session too. 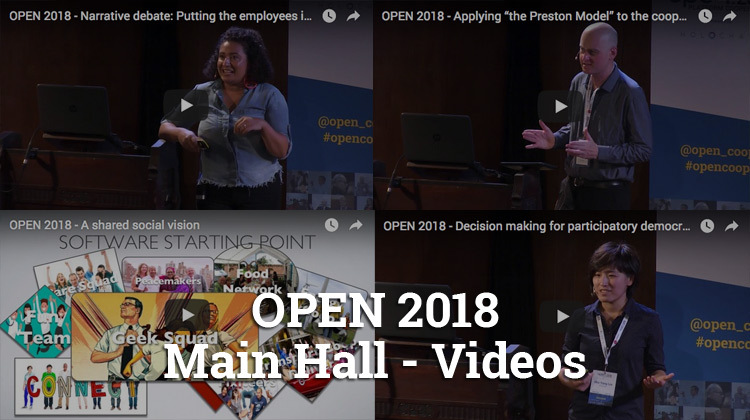 This session from OPEN 2018 provides an overview of various “mapping projects” – discussing mapping objectives and the challenges many groups have already experienced when trying to “map the ecosystem”. The session features presentations from Louis Cousin from Cooperatives Europe, Colm Massey from the Solidarity Economy Association, Laura James Co-founder at Digital Life Collective, and Tom Ivey from domains.coop about their specific mapping projects and objectives. Emma Hoddinott, Labour Cllr for Wickersley Ward Rotherham and Local Government Officer for the Coop Party and Matthew Brown, Cabinet Member for Social Justice, Inclusion and Policy at Preston City Council discuss the latest advances and successes of “the Preston model” and how similar local and central government strategies could be deployed to create a thriving cooperative economy across the UK. OPEN 2018 – Global Mutual Credit: Is it time for a Co-op coin? In this panel session from OPEN 2018 Arthur Brock, Co-founder, HOLO; Matthew Slater, Co-Founder of Community Forge and Emma McGuirk, Co-founder of Dunedin Timebank in New Zealand discuss the potential of a Co-op Coin and global mutual credit systems and consider whether any of the existing trading networks and models could be used to bring the co-operative economy to scale. In the final narrative session, and keynote debate of OPEN 2018, Niki Okuk, Founder of Rco Tires and Guy Watson, Founder and Chair of Riverford Organic discuss how we can challenge the dominant model of capitalist business and the de facto pyramid structure of management in order to enable a more equitable society. What does it take for owners and managers to understand and liberate the true value of placing workers in charge of the business? How can we encourage the development of new, and the transformation of ‘conventional’ businesses, to become worker owned enterprises? What assumptions do we need to challenge to break the strong-hold of rapacious capitalism as the the dominant form of business?